People’s relationship to the pig is the second oldest tie they have to any domesticated animal — going all the way back to 8000 B.C. The only domesticated animal that pre-dates the pig is the dog. Humans were eating pork before they invented the written word, before they carved their first wheel. China had intensive pig production by 4900 B.C., and Europeans were raising swine by 1500 B.C. The first domesticated pigs in America made the trip across the Atlantic to Tampa Bay, Fla., from Spain with Hernando de Soto in 1539. Because hogs were cheap to raise, by the 19th century they were common both across the southern landscape and on rural dinner plates. Today North Carolina is the second-largest hog producing state in the U.S., after Iowa. Pork is versatile. You can eat almost every part of it — hams, ribs, feet, back, the innards, the skin, the head, the brains — and, yes — even the tail. In China, where pork is the most important meat, cooks make a dish of braised pork intestines. The U.S. seems to be most in love with one particular cut of meat: bacon. U.S. bacon sales have been on the rise for the last four years, and in 2013 reached an all-time high of $4 billion. Pork brings people together. Barbecue is the mainstay of many North Carolina social gatherings. Traditional North Carolina barbecue is prepared by roasting the whole hog, split in two, over a pit filled with smoldering wood. North Carolinians exercise great devotion to the lengthy process, staying up all night to tend the embers so the pork is moist and falling off the bone by morning. North Carolina isn’t the only state with its own style of barbecue. Most Southern destinations have a barbecue recipe its residents cleave to with almost religious fervor. South Carolina has its mustard sauce, Memphis its dry-rubbed ribs, and Kansas City a tomato and molasses sauce, to name a few. Pork also pulls people apart. North Carolina is known for its residents’ historic eastern vs. western style barbecue feud. Battle lines are drawn through Lexington, where the barbecue goes from the East’s sweet vinegar and red pepper sauce to the West’s tomato-based sauce. Then there are the less light-hearted battles over pork in North Carolina. The rapid expansion of contract hog growing in the 1980s and 1990s drove a wedge through some communities in the state. The average number of hogs per farm went from 62 in 1974 to 4,015 in 2012. Contracting allowed many landowners an opportunity to make a new income, but it also created a massive amount of waste. Concerns emerged about the effects of that waste on public health and the state’s land, waterways and wildlife. Now farmers have found yet another use for the pig: Its waste can be used to produce energy that can power farms and homes. But how does this technology work? 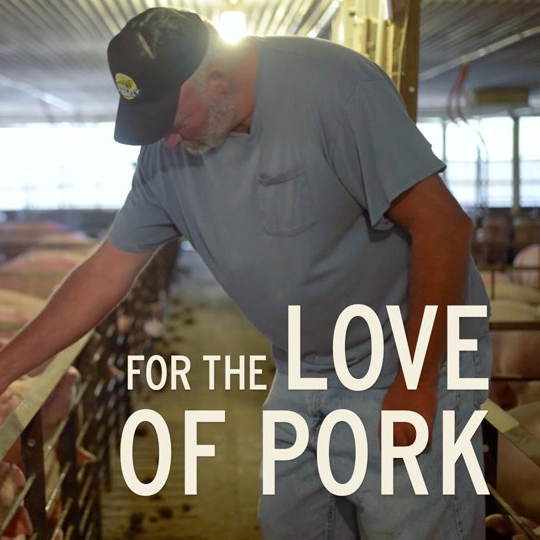 Is it around to stay, and what does it mean for the future of the pork industry?